Milford to Glendale will certainly come with a change of scenery and climate! I know that many of the big impoundment lakes in AZ like Mead and Powell have plenty of carp, having seen them around the boat docks. There used to be a few active CAG Members in AZ so hopefully some of them will be able to put you on some fish. Hope the move went well Levi! I have fished many times in the Phoenix/Tempe/Glendale area while on vacation, and know some waters that hold carp. 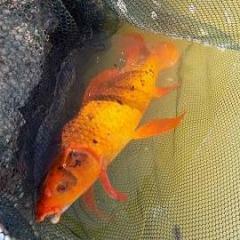 From my experience there are carp in almost every pond around there, but finding the size is a bit harder. Good luck! Thanks Iain, yea pretty big and dramatic change! Seems like the carp are more plentiful here, but I will miss the 30 and 40 pounders of mass I think.